T minus 3 days till the best Eid Al-Adha celebration ever (only a slight exaggeration)! Eidrageous will include an Amazing Race (have you signed up yet? 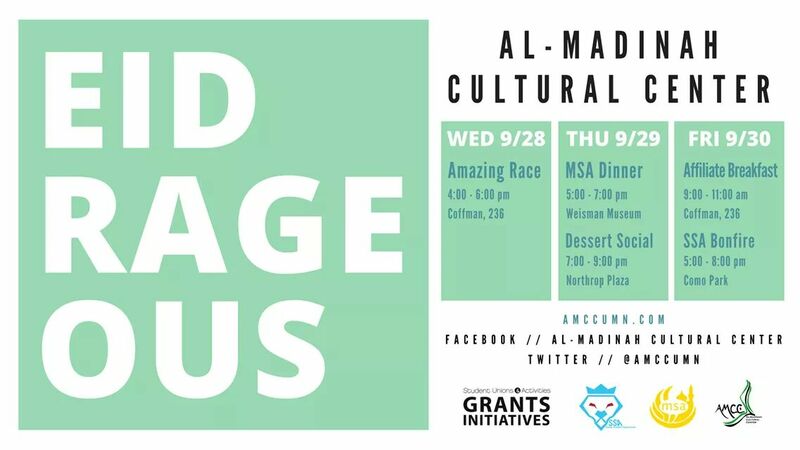 ), an MSA dinner followed by a dessert social (a piñata will be present), and will end with a breakfast and a bonfire held by SSA. Also, use the hashtag #Eidrageous2k16 to share moments and pictures throughout the week! You don’t want to miss it, so be there!